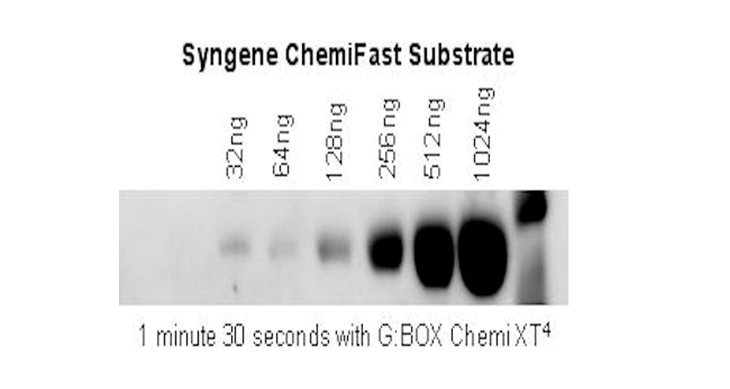 Syngene provides the highest quality gel electrophoresis products including UltraSafe blue gel stain, a 'safe' alternative to Ethidium bromide for the staining of DNA in agarose or acrylamide gels and DNA ladders. Syngene supplies a range of DNA ladders (1Kb and 100bp) for accurate size and mass estimations of nucleic acid fragments. UltraSafe blue gel stain and DNA ladders are suitable to be used with all our gel imaging systems and can be illuminated using UltraSlim, UltraBright blue LED transilluminators and by UV. Usage UltraSafe blue stain can be mixed into an agarose gel for staining during electrophoresis or the gel can be incubated in a solution of UltraSafe blue stain following electrophoresis. Excitation / Emission Gels can be visualised by a UV transilluminator or by Syngene?s UltraSlim Blue LED transilluminator.